In my previous article, “5 Key Questions to Consider When Hiring Sales People” I discussed the two main ‘types’ of sales roles and what each focuses on. However, depending on the type of products and/or solutions you provide it may be advantageous to include some additional sales positions to ensure opportunities do not end up falling through any cracks in the process. A Sales ‘Hunter’ is a professional sales person who focuses on establishing new business relationships based upon the business challenges that they uncover. They are usually Outside or Premise Sales People, and are charged with the majority of the prospecting/cold calling to C-Level decision makers. Their mandate is to open doors and then fleshing out the prospective customer’s business challenges and goals. A Hunter does not like getting ‘bogged down’ in day to day administrative issues or performing routine customer service. They live for the ‘hunt’ and once a sale is completed they gently migrate the relationship to an Account Manager. An Account Manager, or Farmer, is also a professional sales person who focuses on growing opportunity within existing accounts through proactive Account Management. They can be either Outside or Inside Sales People. They are the customer’s main contact and advocate, taking care of administrative issues and any other challenges while keeping their eyes open for opportunities to do additional business. A Farmer typically does not like prospecting cold, and is usually much more comfortable maintaining existing relationships than initiating new ones. A Hunter is NOT a fit for this role, and will be miserable. In an SMB (small-medium business environment) these two types of Sales roles are usually sufficient to generate and maintain customers. But if you are using SEO to identify potential sales leads, or have Channel Partners, there are two more roles you should consider to round out your team. 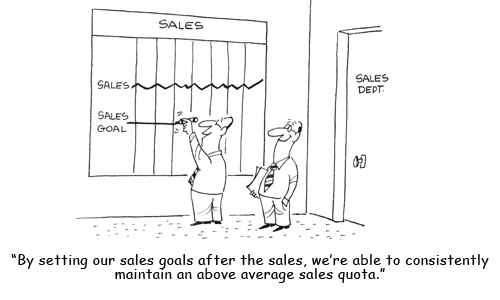 Inside Sales People – When leads come in there is no time to waste in qualifying if that lead is viable. Inside Sales People do not travel in a sales territory and therefore are much more accessible than your outside reps who can be attending appointments offsite. Inside Sales People are responsible for following up on any inquiries and beginning the initial qualification asap to determine next steps and who should take the cycle over. They are also tasked with routine customer inquiries that could reveal a potential opportunity as they can respond much faster. Keeping up CRM input is also a major function. Channel Managers – If you have Dealers, VARs or Retail Channels for example, you need Managers focused specifically on growing business in these verticals. Some of their responsibilities include managing relationships with partners and increasing revenues through presenting marketing promotions, assisting them with inventory management (if you sell products), etc. Each of these sales roles require different levels of skill, and therefore will carry sales quotas reflecting their assignments, revenue opportunities and expectations. Depending on the size of your organization you may need just two or all four sales roles on your team. In summary, if you increase your own knowledge of B2B Sales and the corresponding Sales roles, you’ll be better able to maximize every sales opportunity and prevent lost business. Outsourcing this function to a company that has the knowledge and experience of effective and scalable Sales Planning to assist you is a very good option to consider. We will not only assist with determining the type of Sales expertise you require, but will also ensure that their contributions will be aligned with the overall Sales goals of your organization.